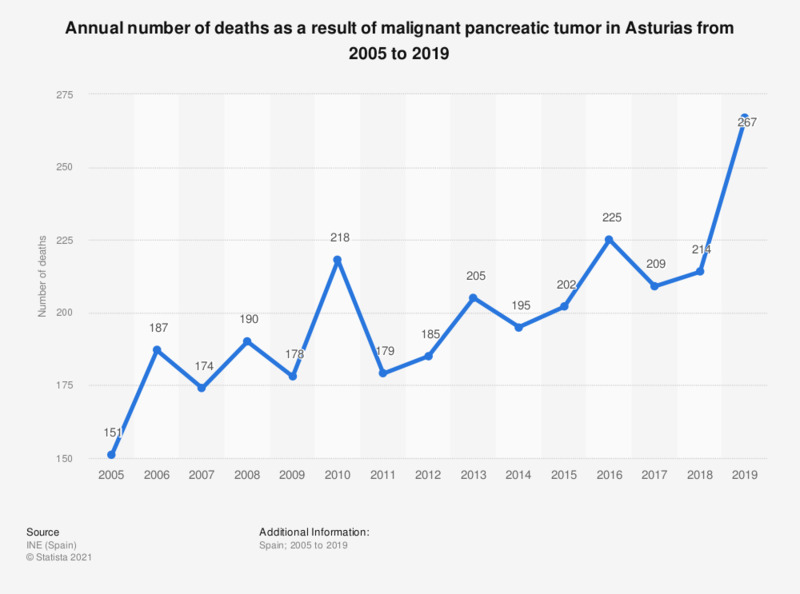 This statistic presents the annual number of deaths due to malignant pancreatic tumor in Asturias from 2005 to 2017. In 2017, a total of 209 deaths were registered due to this type of cancer* in that autonomous community, which represented a slight decrease on the number of deaths compared to 2016. In general, the number of deaths from pancreatic cancer in Spain amounted to 6.9 thousand deaths in 2017, which represented a considerable increase compared to previous years.